Adding a deck or concrete patio to your home is one of the best ways to increase the value of your property. It can also become a favorite family gathering place for barbeques, birthdays and fully enjoying your outdoor living space. If you’re considering adding a deck or patio to your home, there are a number of options to consider. One of the main choices you’ll need to make is what type of construction material to use. In this article we’ll break down the pros and cons of a concrete patio vs. a wood deck vs. a composite deck. If you’re limited on time, a summary of the pros and cons can be found here (link to summary section). The popularity of concrete patios has grown over the years as more and more people have realized the benefits and the concrete design options have expanded. One of the primary advantages of a concrete patio is that it requires little to no maintenance and lasts much longer than wood or composite material. This means the cost you’ll pay over the lifetime of your home for the patio is much lower. For example, the lifetime cost of a maintenance free concrete patio that lasts 70 years is likely five to ten times less than a wood deck that needs regular maintenance and has to be replaced every 10 years. Concrete is extremely durable and will last a lifetime when installed correctly. The durability advantage of concrete is even more prominent in areas with extreme temperatures that wreak havoc on wood and composite materials. One issue many homeowners have with wood and composite decks is having spiders and rodents (ex. mice and rats) living in the open space underneath their decks. This same issue doesn’t exist with concrete patios as there are no open spaces or cavities between the deck and the ground. Weeds growing between the slats of wood and composite decks is also a common and frustrating issue that can be avoided by choosing concrete. One of the lesser known benefits of a concrete patio is the unlimited design options. 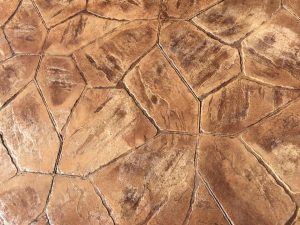 Unlike wood or composite material, concrete can be stamped with a wide array of patterns (ex. cobblestone look, brick look, tile look, wood plank look, etc.). The stamping options can be combined with staining of any color to further customize the appearance. Concrete is a very versatile material and can be poured to fit any design and any shape. This gives you the option to have curved edges, built in steps, multiple tiers and anything else your heart desires. One of the biggest benefits of concrete patios is that they require little to no maintenance. Many wood decks have to be stripped, re-stained/re-painted and re-sealed on a very regular basis (often yearly in extreme climates). This is not only costly but it’s also not an enjoyable way to spend your time. Many concrete patios require no maintenance while some stained concrete patios require minimal maintenance to re-seal the concrete. Of the different types of material options, a concrete patio is the most difficult for a novice homeowner to install correctly. Many DIY issues arise from not preparing the ground properly, not using adequate reinforcement materials and poor planning. Stopping halfway through a deck installation and picking up the next weekend may work fine for a wood deck but it will likely cause issues with a concrete patio. The initial cost of a concrete patio is typically higher than a wood deck. 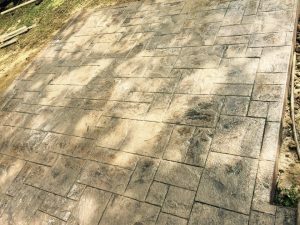 This difference in cost is more than recouped over time by the lower maintenance costs and longer lifespan of a concrete patio (see advantage #1). Composite decking material is much less durable than concrete and more expensive than wood. Composite decking material is typically made with polyethylene plastic and wood fibers like sawdust. Composite decks have a number of advantages and disadvantages to consider. The cost of composite decking material varies by manufacturer. Typically, the upfront cost of a composite deck is more than a wood deck and slightly less than a concrete patio. Compared to a concrete patio, composite decks are less challenging as a DIY project and similar to the challenges of installing a wood deck. One of the biggest benefits of a composite deck is that they require little to no maintenance. Composite decks cost more to initially install than wood decks but typically last longer. Compared to concrete patios, the initial installation cost of composite decks can be slightly lower or roughly the same depending on the material. Composite decks don’t last as long as concrete patios. This puts the lifetime cost of a composite deck lower than a wood deck in many cases and higher than a concrete patio. 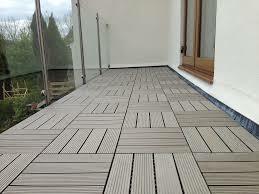 Composite decking is much less durable than a concrete but more durable than wood. The durability of composite decking varies widely by manufacturer and extreme temperatures can cause warping, sagging, fading and chemical leaching. One issue many homeowners have with composite decks is having rodents (ex. rats and mice) living in the open space underneath their deck. Weeds growing between the slats of composite decks is also a common issue when the decking material does not fit tightly together. The variety of composite decking styles and colors is much more limited than concrete. The overall design of composite decks also has limitations compared to concrete. For example, it’s difficult to build a composite deck with built-in curved steps and curved sides while this look is much easier to accomplish with concrete. One of the top complaints and disadvantages of composite decks is that they become extremely hot underfoot in warm weather and direct sunlight. The extreme heat retention of composite decking often makes it unsuitable for bare feet. The heat radiated from the composite decking can also make it less enjoyable to be on even hours after the sun has gone down. Wood decks are typically built with pressure treated pine, cedar or redwood. While wood has been a popular choice for decking material, it comes with some distinct disadvantages to a concrete patio or a composite deck. Wood decks typically have a lower upfront cost than other material options for a deck/patio. The actual cost varies widely by the type of wood selected (ex. pressure treated yellow pine vs redwood). Compared to a concrete patio, wood decks are less challenging as a DIY project and similar to the challenges of installing a composite deck. One of the primary disadvantages of a wood deck is that it requires consistent maintenance and doesn’t last as long as a concrete patio or composite deck. This means you’ll pay a higher overall cost after factoring in maintenance and replacing the deck. For example, the lifetime cost of a wood deck that requires regular maintenance and has to be replaced every 10 years is likely five to ten times higher than a maintenance free concrete patio that lasts 70 years. Wood is much less durable than a concrete or composite deck. The lack of durability is even more prominent in areas with extreme temperatures that wreak havoc on wood causing warping, sagging, rotting, fading and broken boards. Other durability concerns with wood are splinters and insect issues (ex. termites and carpenter ants). Termites are especially concerning with wood decks as termites attracted to a wood deck can easily spread to the house causing significant structural damage. One issue many homeowners have with wood is having rodents (ex. rats and mice) living in the open space underneath their deck. Weeds growing between the slats of wood decks is also a common issue that frustrate many homeowners. The variety of wood styles and colors is much more limited than composite decking or concrete. The overall design of wood decks also has limitations compared to concrete. For example, it’s very difficult to build a wood deck with curved sides and built-in curved steps while this look is much easier to accomplish with concrete. One of the biggest drawbacks to a wood deck is the ongoing cost and labor involved in maintaining the wood. 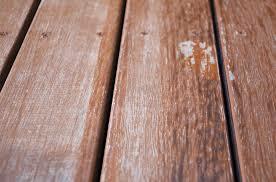 Transparent stains typically have to be applied to wood decks on a yearly basis. This is a costly and time-consuming process that takes the joy out of owning a deck. No matter which material you choose, adding a deck or patio to your home is one of the best ways to increase your property value while gaining enjoyable outdoor living space. 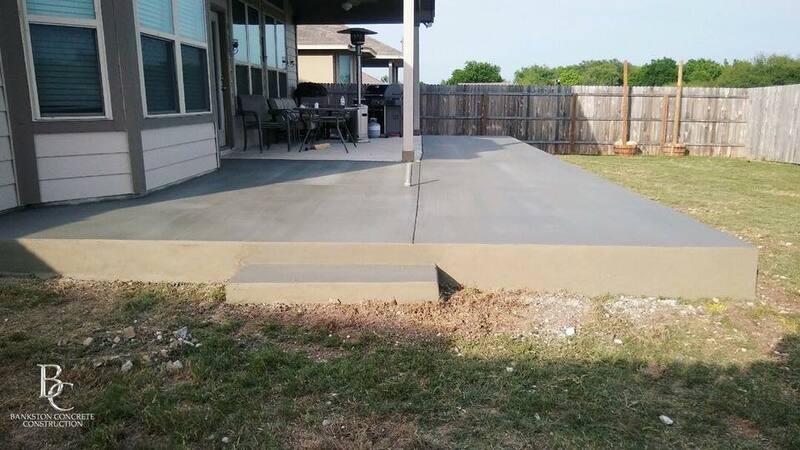 If you’re considering a concrete patio based on its distinct advantages but aren’t sure about the price, your best bet is to request a free estimate from a highly rated local concrete contractor. 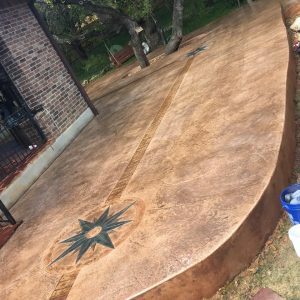 At Bankston Concrete Construction, we specialize in custom residential concrete patios. With over 50 five-star reviews, we’re proud to be the highest rated concrete construction company in San Antonio and the surrounding area. We’d love to provide you a free estimate on a concrete patio that you’ll love for years to come.